Reaction to the campaign on the ground - is it succeeding? Why are 4,000 Afghans queuing up for passports in Kabul every day? 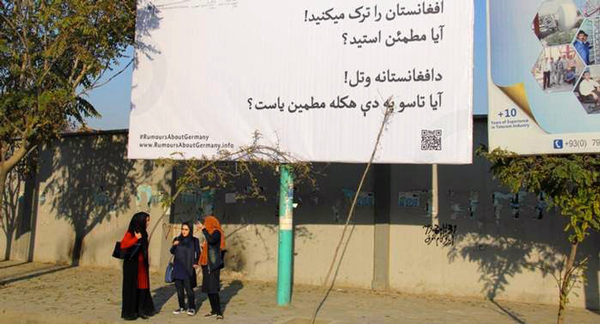 Large white billboards have been posted across Kabul and other big cities in Afghanistan. 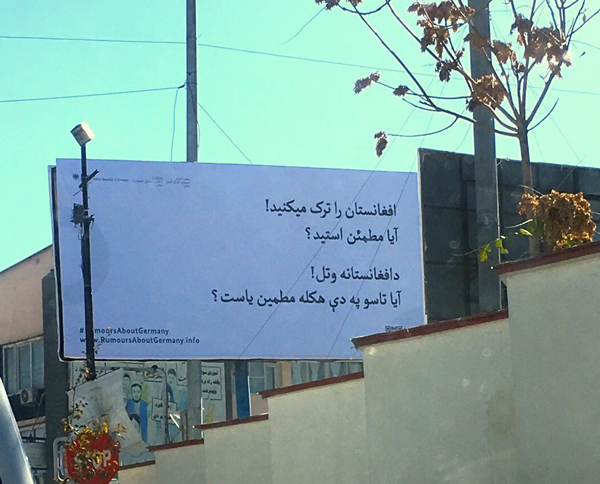 Written in large black text, in Dari and Pashto, the two official languages in Afghanistan, they say, "You're leaving Afghanistan! Are you sure?" The question, of course, is addressed to the many potential asylum-seekers in Afghanistan, who are preparing to make the treacherous journey to Europe, specifically to Germany. 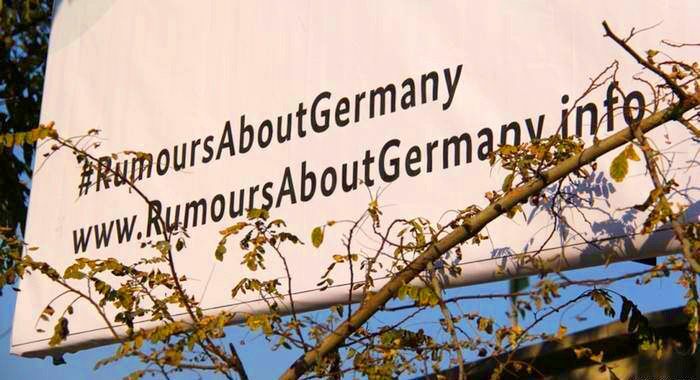 The campaign, conceived by the German Embassy in Kabul, has been titled 'Rumours About Germany', and was launched earlier this month across cities and social media. The idea? To discourage the many Afghans fleeing the country by sharing information and stories on not only how life-threatening the journey to Europe is, but also how difficult life in Germany can be for the Afghan asylum-seeker-a fact that most war-weary Afghans are already familiar with. Tweets and Facebook posts such as these can be found under the hashtag #RumoursAboutGermany on social media. As the global refugee population hits an all-time mark - 59.5 million at the end of 2014, according to a report by the UNHCR - several countries are adopting diplomatic means to dissuade asylum-seekers. Countries like Denmark, Norway and Australia have been running similar social media campaigns. Although, not as outrightly offensive as the ads issued by Denmark in Lebanese papers earlier this year that announced a "stricter stand against refugees", the German campaign has touched a nerve among some Afghan people. Many Afghans see it as an effort to undermine the threats to the Afghan life. "The security situation in the country has deteriorated," says Abdullah, who works as a cashier at a local restaurant in Kabul. He has been in Kabul ever since his return 14 years ago, after the fall of the Taliban. Abdullah spent the Taliban years as a refugee in Pakistan. "People are leaving for the sake of survival," he explains. Numbers from the recent 2015 Asia Foundation survey back Abdullah's claims. Nearly 43% of those surveyed believe that insecurity continues to be Afghanistan's biggest problem. And more than two-thirds, i.e. 67.4%, report that they fear for their safety - the highest-recorded percentage in a decade. Some Afghans remain skeptical over the efficacy of the campaign. Omaid Sharifi, an anti-corruption activist says: "They are trying different ways to stop Afghans from migrating to Germany, but it doesn't really work. Security is the main concern of those leaving, along with frustration over lack of jobs and widespread corruption." Sharifi, co-founder of ArtLords, a volunteer-based artist movement that is painting thought-provoking graffiti across the city, adds: "A number of people I know have left for Europe. My driver left last week and he is in Sweden now. Whenever I go to a relative's house, they talk about somebody leaving or who has already left. They [European countries] must come up with something far more creative if they want to stop immigration." Meena Barakzai, a civil society activist in Kabul, agrees. "It is unlikely such a campaign will have any affect," she says. "Afghans have so many other concerns [that they won't] bother to take notice of such messages." The embassy, however, is calling it a public service campaign. "The aim of the campaign is to give people information, not to put them off," it explains on its website. "Some people are currently selling all they own to pay human traffickers and put their own lives at risk - all because of the misinformation about Germany which the traffickers are peddling," it reads. Then there are posts on Facebook, that attempt to assure asylum-seekers how uncomfortable life will be as a refugee in Germany. Incidentally, someone on Facebook pointed out that the Pashto text on the poster is grammatically incorrect. Another post reads: "Do not risk your lives by trying to flee to Europe. Human traffickers are criminals who are only interested in money. They don't tell the truth and don't care about human lives." Jonas van de Loo is a philosophy student at Ruhr-Universitat Bochum, whose Facebook display picture reads 'Refugees Welcome!' He points out: "Nobody would drown if there were legal ways to enter Germany. Pressuring people who want to flee to stay in Afghanistan deliberately exposes them to fatal risks. The German government just wants to reduce the number of refugees in order to not lose votes to even more right-wing parties. Germans, apparently, are seen as more valuable than Afghans. That's mere racism." The Afghan government is not unaware of the problem. Despite the development and progress of the last 14 years, Afghanistan remains one of the largest producers of refugees in the world. In 2014, Afghan refuges were second only to Syrians, according to the UNHCR report. Recent media reports noted that 2015 saw a spike in passport application among Afghans. Over 4,000 people queue up outside the passport office in Kabul daily, from as early as 2am, to get a passport - a document that will help get most of them into Iran or Turkey, and puts them on a journey towards Europe. Several civil society groups have undertaken projects urging Afghans to stay in the country and work towards its development. One in particular, called #AfghanistanNeedsYou, has garnered enormous support from Afghan politicians, celebrities and thought leaders. With over 9,000 'likes' in less than three months, the campaign uses national pride as a stimulus to get people to stay in Afghanistan. 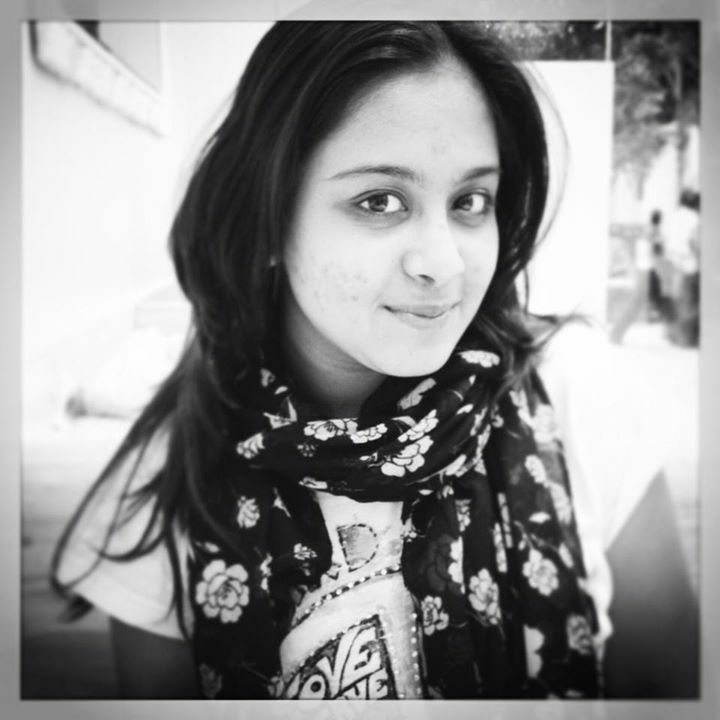 "Our campaign is more focussed on getting people to stay and work here, rather than leave towards an uncertain prospect," explains Moez Popalzai, one the co-creators of the campaign. "We do not comment on whether a country is good or not for refugees; rather, we try to focus on what can be achieved if our compatriots stayed back." Crowdsourced stories and quotes by Afghans living in the country highlight the nation's potential for development, all hooked on one word - hope.